She climbed Mount Kilimanjaro. She has been awarded by the Central Intelligence Agency (CIA) for work during a coup in Africa. She survived a violent car chase that left her with a permanently disfigured arm. 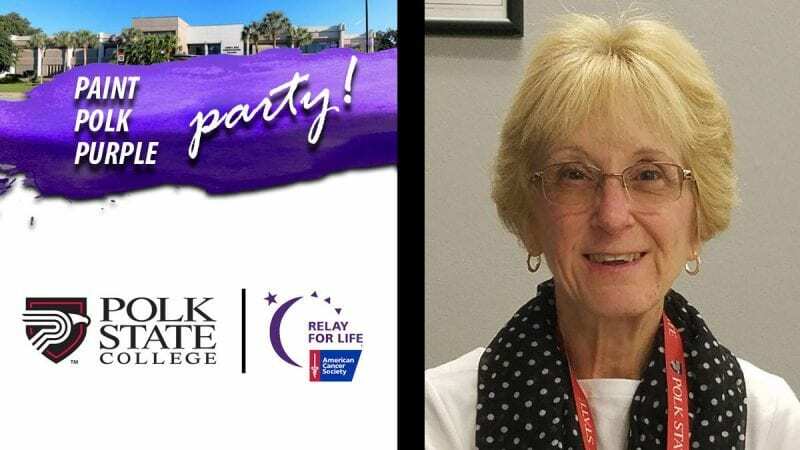 But on Thursday, March 8, at Polk State College’s Paint Polk Purple Party benefiting Relay For Life and the American Cancer Society, Jacci Rizzo will share another part of her extraordinary story – the story of surviving cancer. “Cancer changed my story, but I am fortunate that my story was able to go on,” Rizzo said. Rizzo, a professional writing tutor in the Teaching Learning Computing Center (TLCC) and an adjunct professor who teaches First-Year Seminar, was diagnosed with bladder cancer in 2003. 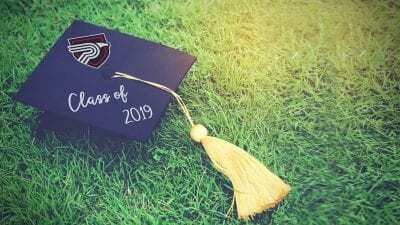 At the same time, at 45 years old, she was enrolled at the University of Colorado Colorado Springs finishing up a bachelor’s degree in English. Rizzo didn’t pursue higher education at a younger age because she was homeless in high school. She’s modest about the challenges of balancing cancer and college. She graduated as a Distinguished Scholar in English and moved to Maryland, where she taught seventh-grade Language Arts for seven years. She achieved her master’s degree in Education from Walden University with a focus on English for Speakers of Other Languages (ESOL), inspired by her travels and love for learning about different cultures. Rizzo lived with cancer for about three years and is considered to be in remission, “but I have to consistently check for new tumors. I have been tumor free for 10 years,” she said. At Relay For Life, Rizzo plans to speak about her experience with cancer and how it has influenced her as an educator. “I’m more empathetic to students and understand that everyone is trying to balance life with school,” Rizzo said of how having cancer has influenced her as an educator. That’s a philosophy shared by many faculty and staff members at Polk State, which enrolls 72 percent of its students part time, meaning a majority are juggling full-time jobs, raising families, and other responsibilities. Rizzo’s experience and approach to teaching and tutoring is especially useful in her role instructing a course part of the First-Year Experience Program, which introduces first-time-in-college students to the resources they need to be successful at Polk State. Rizzo was the first generation in her family to go to college. Rizzo has demonstrated compassion for others all her life. 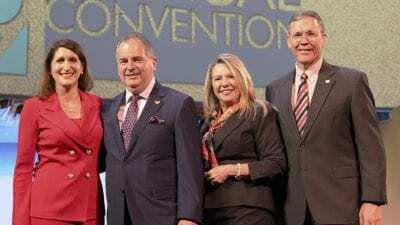 In her first career she served as a clinical assistant in a California medical office, where she met her husband, Dr. Anthony Rizzo, Polk State Professor of Biology. He served in the U.S. Public Health Service. When he completed medical school, they went to Africa, where he worked with the CIA and Foreign Service. She served in the Embassy of Kinshasa clinic. When the couple lived in Tanzania, they were involved in a violent car chase that resulted in their Jeep hitting a gravel truck, splitting in two, and ejecting Rizzo from the vehicle. She has had three artificial hip replacements since, and has permanent damage to her right arm, which prevented her from pursuing a nursing career. But she always enjoyed reading and writing. In high school, she greatly related to John Steinbeck’s “The Grapes of Wrath,” which follows a poor family’s journey from Oklahoma to California in hopes of a better life. Her family was homeless and made a similar trek from Wisconsin to California with the same dream. “Whenever I am faced with adversity, I just ask myself, ‘What would Ma Joad do?’” Rizzo said, referring to the matriarch in the story whose practical, warm spirit held the family together. Rizzo will give her survivor speech during the Paint Polk Purple Party opening ceremony at 5:30 p.m. The event will start at 5 p.m. at the Winter Haven Campus, 999 Ave. H N.E., on the lawn between the WHC and WLR buildings. To donate, go to relayforlife.com/polkstatecollegefl. The schedule of events is as follows. 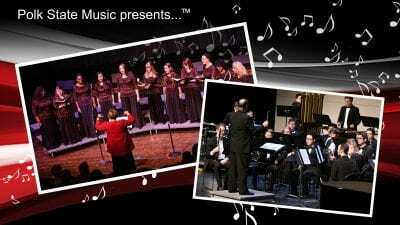 Polk State Music students performance | 5 p.m. Opening ceremony | 5:30 p.m. Survivor and caregiver lap | 5:45 p.m.
Men in High Heels | 6 p.m.
Over 55 Show Band | 6:15 p.m. Lip Sync Battle | 6:45 p.m.
Luminaria Ceremony | 7:30 p.m.
Name That Tune | 8 p.m.